A controversy among economists has raged in the pages of professional journals for the last decade. The debate concerns capital theory and distribution theory, as well as interpretation of models of long-run economic growth. This book is an attempt to integrate recent developments in capital theory and show their implications for models of long-run economic growth in mature capitalistic countries.This book first presents the von Neumann model and outlines its classical approach to the rate of profits and distribution. Sraffa's resolution of the value-price transformation problem is then presented and compared with Samuelson's ""Surrogate Production Function"". With the results of this comparison and the delineation of the special case in which the ""Surrogate"" is valid, several existing models of growth are set out in two representative groups.Neoclassical models form the first group. These are defined by their reliance on marginal theory to determine factor prices, the rate of profit and therefore distribution via the perfectly differentiable production function. Models of Meade, Tobin, Solow, and Samuelson- Modigliani are outlined and analyzed for their treatment and distribution and profits theory. The second group is comprised of models within the strict Keynesian tradition. The basic groundwork of these models as found in the work of Keynes and Kalecki is first cited. The Keynesian models are characterized by their assumption that the investment decision is totally independent of savings decisions in the economy. 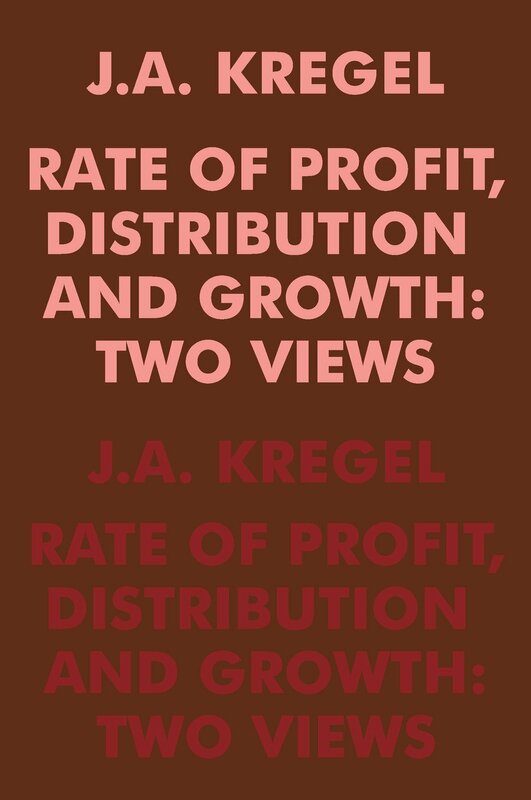 The models of Harrod, Kaldor, Pasinetti and Joan Robinson are presented and their method of approach to the rate of profits and distribution is analyzed.The concluding chapter focuses on some criticisms brought against the Keynesian models and offers some generalized formulations to deal with these neoclassical objections. General conclusions follow the treatment of each representative group and author.